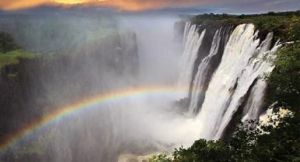 Travel to Zambia to see why Victoria Falls was named a world wonder. In full flood, a roaring, mile-wide wall of water sends a column of spray towering into a blue sky. It’s a scene equally impressive from either side of the Zambezi River but the best views of the famous Main Falls are from the Zambian side. Grand lodges, family-friendly hotels and romantic tented camps lie along Zambia’s riverbanks, some within walking distance of Victoria Falls. Guests have access to all the activities and adventures the area is famous for – white water rafting, elephant-back safaris, fishing or birding trips, and lion cub encounters – and can pop across the border to see the view from Zimbabwe. Victoria Falls – dramatic scenery, adventure activities, game drives & river cruises – Zambia’s number one travel destination has it all. 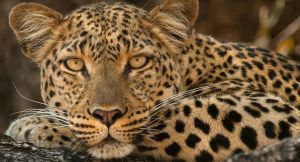 South Luangwa – home to some of the best walking safaris in Africa, Zambia’s flagship park is famous for its leopard sightings. Lower Zambezi – go on game drives, river cruises & canoe safaris, all set against a teeming big game environment. Zambia has a secret side too: it’s one of Africa’s most rewarding safari destinations. Fly from Victoria Falls to Zambia’s big game country and explore by 4X4 and on foot in the company of some of the best guides in the business. The South Luangwa Park is home to multi-day walking safaris and heavyweight game viewing (especially for leopard); the Lower Zambezi is where you’ll add canoe and boating trips to your safari itinerary. 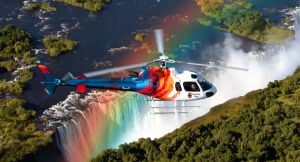 You’ll find Zambia a friendly and safe country to visit. Victoria Falls and the national parks are served by a well-established travel industry and you’ll enjoy high levels of comfort and cuisine. Safari accommodation ranges from traditional thatched lodges to honeymoon hideaways, many in private concessions for added privacy. There are also exclusive-use villas complete with private guide and chef, ideal for multi-generational families or groups. It’s simple to get to Zambia and travel around. Livingstone International Airport sits next to Victoria Falls and is a hub for flights from South Africa and Namibia. Botswana is just across the border. 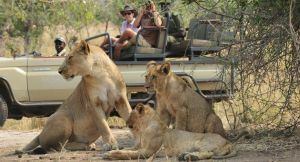 And once you’re here on safari, shared air charters connect Zambia travel destinations in the national parks to save on long overland transfers. Zambia’s view of the Main Falls in flood is spectacular but low water season is the time to visit Devil’s Pool, perched on the edge of the falls themselves. Zambia’s parks are some of the best in Africa – huge, unspoiled & full of wildlife. 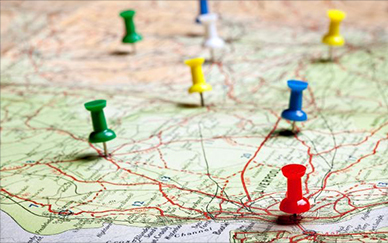 Explore them by open-sided 4X4 in the company of an expert guide. 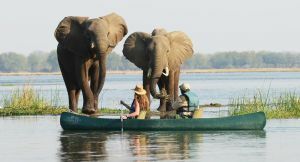 You can enjoy a canoe trip at Victoria Falls but head for the Lower Zambezi for a super-sized canoeing experience. Mix it up with game drives & boat trips for an unforgettable safari. 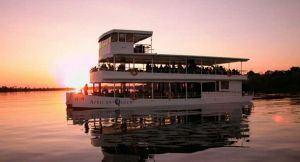 Whether it’s viewed from a small boat or aboard the triple-decker African Queen, the sunset is equally as good. Honking hippos & water birds provide the soundtrack. 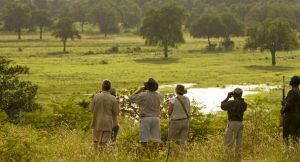 Whether it’s an afternoon nature walk or multi-day walking safari, you’ll never forget being on foot in the South Luangwa. Highly experienced rangers & trackers lead the way. You’ll never have a view like this again: guides take you by boat to a natural swimming pool … poised on the very edge of Victoria Falls. One of the best places to see this elusive cat, the South Luangwa is also famous for its densities of elephant, hippo, buffalo & lion. Spot-lit night drives give you an extra advantage. 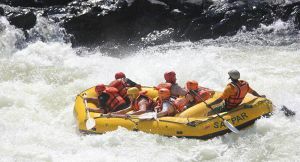 You won’t find a better & more exciting one-day rafting trip in the world – the Zambezi River in low water delivers the adventure of a lifetime. Experience the extraordinary! Let us tailor-make your safari to Zambia.